Ooooh, you guys! I just love Revelation 12 so much. Over the last few years we have had SO much excitement over this little chapter – particularly with verses one through five. You know you’re a watchman when your point of reference for events is “pre-Rev12” and “post-Rev12” – referencing the Revelation 12 sign that occurred on September 23, 2017. If you are just joining us here, you just have to read through these amazing articles – you just HAVE to!!!! Revelation 12 is a fascinating chapter. Up to this point in the book of Revelation, we have seen views of end time events in the throne room of God in heaven (the “third heaven”, where God dwells). We have also seen views on earth and in the atmosphere (the “first heaven”). Now, in chapter 12, we are privileged to see a view of end time events as they appear in the universe/space (the “second heaven”), as well as in the first and third heavens. Revelation 12 uniquely gives an overview of the entire Tribulation Week (Time of Jacob’s Trouble) from all 3 vantage points – the 1st, 2nd, and 3rd heavens. An overview of the entire tribulation period, you say? Well, I want you to consider the structure of the book of Revelation itself. It seems that in his visions, John is first given a sweeping overview, followed by what I call “detail pop-outs”. These details are given in separate parts of his visions, after the overview. I believe this is the structure of Revelation chapter 12 as well. I suggest to you that verses 1-6 give an overview, and the rest of the chapter fills in the details. In this post I hope to visually demonstrate what I mean by rearranging the verses in what I suggest is chronological order. Some of this may challenge what you currently believe. I don’t want to be dogmatic about it, I just want to see what you think! 1 And a great sign appeared in heaven: a woman clothed with the sun, with the moon under her feet, and on her head a crown of twelve stars. 2 She was pregnant and was crying out in birth pains and the agony of giving birth. 3 And another sign appeared in heaven: behold, a great red dragon, with seven heads and ten horns, and on his heads seven diadems. 4 His tail swept down a third of the stars of heaven and cast them to the earth. And the dragon stood before the woman who was about to give birth, so that when she bore her child he might devour it. 7 Now war arose in heaven, Michael and his angels fighting against the dragon. And the dragon and his angels fought back, 8 but he was defeated, and there was no longer any place for them in heaven. 9 And the great dragon was thrown down, that ancient serpent, who is called the devil and Satan, the deceiver of the whole world—he was thrown down to the earth, and his angels were thrown down with him. 13 And when the dragon saw that he had been thrown down to the earth, he pursued the woman who had given birth to the male child. 6 and the woman fled into the wilderness, where she has a place prepared by God, in which she is to be nourished for 1,260 days. 14 But the woman was given the two wings of the great eagle so that she might fly from the serpent into the wilderness, to the place where she is to be nourished for a time, and times, and half a time. 15 The serpent poured water like a river out of his mouth after the woman, to sweep her away with a flood. 16 But the earth came to the help of the woman, and the earth opened its mouth and swallowed the river that the dragon had poured from his mouth. 17 Then the dragon became furious with the woman and went off to make war on the rest of her offspring, on those who keep the commandments of God and hold to the testimony of Jesus. And he stood on the sand of the sea. 13:1 And I saw a beast rising out of the sea, with ten horns and seven heads, with ten diadems on its horns and blasphemous names on its heads… 13:5 And the beast was given a mouth uttering haughty and blasphemous words, and it was allowed to exercise authority for forty-two months. 13:6 It opened its mouth to utter blasphemies against God, blaspheming his name and his dwelling, that is, those who dwell in heaven. 13:7 Also it was allowed to make war on the saints and to conquer them. And authority was given it over every tribe and people and language and nation, 13:8 and all who dwell on earth will worship it, everyone whose name has not been written before the foundation of the world in the book of life of the Lamb who was slain. There is no reason to believe anything other than that this is a literal alignment that appears in the heavens (constellations – second heaven – space). God placed the sun, moon, and the stars deliberately, and He controls their movements (Genesis 1:14). The only woman constellation is Virgo. While “Virgo” is the corrupted astrological name for the constellation, in the Mazzaroth (God’s redemption plan in the heavens) Virgo is generally considered to represent Israel. At this point in time, the woman is in unbelief (believing Jews are instead considered part of the church). This vision of John’s is reminiscent of Joseph’s dream in Genesis 37:9-11. This sign, in its completion, seems to appear in the heavens in one time only in human history – September 23, 2017. The heavens obviously can’t be pregnant, but the theme of labor pains and birth is used to describe the “discomfort” of the end of the age in multiple places in scripture. (Isaiah 26; Matthew 24). It’s interesting that the woman is described as already in birth pains and in the agony of giving birth here, before the dragon is described. It’s possible the crying out in verse 2 illustrates the early fulfillment of Ezekiel’s vision of the Valley of Dry Bones (Ezekiel 37), where Israel is restored nationally and physically before she is restored spiritually. This is described in Isaiah 26 as Israel laboring by herself (without God) to attempt to obtain deliverance. The woman is clearly Israel, and it is her who is in pain. God is not about to bring to the point of birth without delivery (Isaiah 66:9). Israel is about to enter TRUE birth pains, and receive TRUE deliverance. This is “another sign”, separate and distinct from the “great sign” in verses 1-2. This sign has prompted a whole host of speculations as to what it might be! The dragon constellations include Draco, Serpens, and Hydra. Will any or all of these be involved in the sign of the red dragon? What about the yearly Draconid meteor showers in the fall? What about Planet X? Some people suspect a mysterious planet or planetary system could be involved. Maybe the dragon sign won’t be in the sun, moon, and stars at all – maybe it’s a separate kind of sign from the “great sign”. As of the time of this post, no one is truly sure how the dragon sign will play out, although it will likely become clear as the time of its fulfillment is imminent. I am inclined to agree that we probably won’t physically see a sign. Elsewhere, we see a seven-headed, ten-horned Beast (Daniel & Revelation), which is also satan, or the human kings he controls. The heads are wearing diadems (like crowns); we are told they are kings. The Bible refers to angels as “stars of heaven” multiple times, such as in Job 38:7. It seems that this third of the stars of heaven is quite possibly referring to the portion of the angelic host that joined satan/Lucifer in his initial rebellion (Isaiah 14:12-15, Ezekiel 28:12-17). When they fell, they were cast to the earth, where they are now the powers, principalities, and rulers of this present world (Ephesians 6:12). If verse 4 is giving an overview of the “war in heaven”, then this casting down of stars to the earth would suggest the fallen angelic host will no longer have access to the third heaven, where God dwells. While satan has this privilege currently, we are not told if his horde does or not. Note that the dragon isn’t actually devouring the woman or her child, but is anticipating devouring her child. He wants to, but the child hasn’t been born yet. One might say the dragon is being restrained from devouring the child (wink, wink). “Now” brings us to a different part of the vision, referencing back to the dragon of verse 3-4. This seems to lend credence to the view that verses 1-6 are an overview, and we are about to be filled in with the details, starting with the dragon. Is the war in heaven when the child is snatched? Is it when the woman flees? We are not told what causes the battle, but the most likely scenario in my opinion would be the rapture of the Church. John MacArthur makes the interesting suggestion that the prince of the power of the air and his demon hosts may try to hinder the passage of the raptured believers as they pass through their realm (Rev 12:3-4), which would trigger the battle with Michael and the holy angels (Rev 12:7-8). I believe this has strong merit, as the dragon is poised to devour the child as it is being born. This is a monumental war, guys. It’s not like war erupts in heaven every day, like it does on earth. This war is over something BIG. There is no longer any place for Satan and his demons in heaven. Now listen, until this moment, there apparently WAS a place for them in heaven. “Place” here doesn’t so much refer to space or room, but to purpose (Strong’s 5117, topos). Biblehub describes this as “the condition or station held by one in any company or assembly” or “opportunity, power, occasion for acting”. What was satan’s purpose in heaven? Satan, after his initial fall, retained access to God’s throne in order to accuse believers before Him (remember the book of Job?). There’s no longer any purpose/place for him to do so all of a sudden. Why? As we learned in verse 8, since there is no longer purpose for them in heaven, they are cast to the earth. There is still purpose for them there, which is a “woe” for the inhabitants of earth. Note that verse 12 is coincident with this event. I see possible connection between the casting down of Satan and his horde in verse nine with Seal 6, where the “stars” fall from heaven to the earth (Rev 6:13 – “and the stars in the sky fell to earth, as figs drop from a fig tree when shaken by a strong wind“). In v4 we have already been introduced to the fallen angels as being “stars”, and we know Satan and the demons are cast down to the earth. Are the figs dropping as part of the “fig tree generation”? Is the strong wind the Holy Spirit ascending to heaven with us – the reverse of the Holy Spirit descending as a strong wind from heaven on Pentecost, detailed in the book of Acts? What do you think? Using an interlinear translation, we see the woman give birth to a male huion arsen (Strong’s 5207 and 730). This male child is to shepherd the nations with a rod of iron. The woman is identified as Israel (the corporate entity), who brings forth Jesus (the male child – huion arsen). A child, teknon (Strong’s 5043), is then caught up to God and to His throne. When Jesus ascended to heaven, He was not seized suddenly with great force, nor was He in any danger from the dragon. In Acts 1:9, Jesus is lifted up (eperthe – Strong’s 1869) until He is hidden from view. We see this word in 19 other instances in scripture, and it means “exalts; lifts itself; lifting up voice or eyes; lifting up; turning gaze“. The child in Rev 12:5 is “caught up” – herpasthe (Strong’s 726), not eperthe . Where else do we see Strong’s Greek 726? 1 Thessalonians 4:17 – Those who are alive and remain will be caught up together…; 2 Cor. 12:2, 4 Paul is caught up to the third heaven; Acts 23:10 – take him away from them by force; Acts 8:39 – Philip is snatched by the Spirit of the Lord. There are 14 instances of this word in scripture and it means “plucked; seized; snatched suddenly and forcefully“. There is quite a difference between being lifted or raised and being snatched or seized, isn’t there? Let’s take a look at the child who is snatched. Is it the same child as the male child – huion arsen? Well, no, in fact, it isn’t. This child that is snatched is a teknon (Strong’s 5043). This is a commonly used word to mean children, child, descendant (gender neutral). If Israel represents the corporate entity of Israel, the child (neutral gender) represents the corporate entity of the church – Jew and Gentile made one in Christ. It is the church that is snatched up, suddenly and forcefully. It is the church to whom Jesus has promised to share His iron-rod rule with (Revelation 2:26-27). The woman, currently unbelieving, is left behind. Are you stunned? From Isaiah 66 we know that “before she was in labor she gave birth”. This is entirely consistent with Jesus telling us that when we BEGIN to see all these things (the beginning of birth pains sign He describes on the Mount of Olives), that our redemption draws near. As Israel enters her birth pains, the time of Jacob’s Trouble, the body of Christ will be delivered. The nation that is born in one day is the body of Christ (1 Peter 2:9). Listen folks – the rapture IS equivalent to salvation at this one moment in human existence – there is no partial birth, no partial rapture! Who is the Child of Revelation 12? Woohoo! Celebration in heaven as the accuser has been cast down. Note that this is coincident with verse 12 – heaven is rejoicing. Salvation has come through the power of Christ – the power of resurrection and eternal life – our blessed hope, the rapture! Who is the “they” that have conquered the accuser? Okay guys, I’m going to have to do some fast talking here not to lose you. I realize this but please, hear me out! Who is it that conquers satan by the blood of the Lamb? Don’t we all, as believers? I mean, we don’t conquer satan by our own strength. It is the blood of the Lamb, slain from the foundation of the world, that gives us victory over sin and death. Who is it that conquers satan by the word of their testimony? Don’t we all, as believers? The word of our testimony is that we confess that Jesus is Lord. Check out the comparison with Romans 10:9-10 – “if you confess with your mouth that Jesus is Lord and believe in your heart that God raised him from the dead, you will be saved. For with the heart one believes and is justified, and with the mouth one confesses and is saved.” Is not this conquering by the blood of the Lamb and the word of our testimony? I do believe that the reference to not loving their lives even unto death is reference to the martyrs in Christ, but that is a topic for another post! This verse is coincident with verses 9 (dragon cast down – woe to the earth) and 10 (salvation celebrated with the accuser having been thrown down – rejoicing in heaven). We see here the extremes of rejoicing in heaven contrasted with the woes on earth. This is a theme throughout the book of Revelation. God will use satan for His purposes, to fulfill the time of Jacob’s Trouble and the Day of the Lord. Satan immediately starts pursuing Israel. I want you to note that the word is pursuing, not devouring or attacking. Satan will aggressively and zealously pursue Israel, earnestly desiring to overtake her. Instead of viewing the pursuing as open and hostile aggression, though, I tend to view it as manipulative and cunning. Think of it as deceptive infiltration. I would suggest in the first half of Daniel’s 70th week, satan will try to make this pursuing look positive. Imagine satan trying to woo Israel as her long-awaited Messiah. Israel is expecting a Messiah and I believe that satan will have his antichrist attempt to step into that role. Admittedly, the placement of verse 6 can cause some consternation. Without viewing verses 1-6 as an overview, with details following, it can seem that the rapture might not be until mid-tribulation. But is that what the rest of scripture tells us? Clearly, a literal interpretation of scripture describes a pretribulation rapture. So what gives? There is a gap in the overview between verses 5 and 6. In verse 6 we skip forward to view the fate of the woman, at some point (approximately 1260 days, or 3.5 years) after her child has been snatched. John Abent in his book “Signs in the Heavens” suggests that the 144,000 sealed Jews flee to the wilderness right away after the rapture event. He sees the 2 witnesses as instructing them there in the wilderness, teaching them as Jesus taught His disciples for 3.5 years. If this is correct, it would give an amazing key to the timeline in Revelation – defining two consecutive 1260 day time periods. After the initial 1260 days, the abomination of desolation would occur, and the watching faithful Jews would join these in the wilderness for the last 1260 days of “Greatest Tribulation” described in Matthew 24. I’m not sure that I agree with this view, but I thought that it was worth considering. Because we are viewing a grand panorama, I believe that verse 6 is more than likely an identification marker. 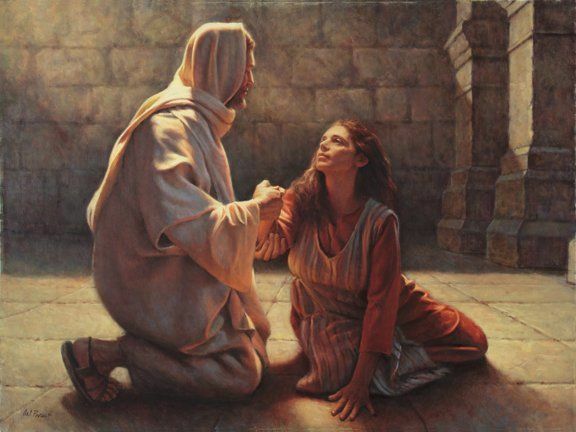 It is used to positively identify the woman as the elect remnant – faithful, believing Israelites – by clearly connecting her identity to later verses. Verse 6 positively identifies the woman, and tells us what will become of her. Here we have the detail of how the woman (faithful Israel) will flee to the wilderness. When the abomination of desolation is placed in the Third Temple, and the antichrist claims to be “god”, observing Jews will recognize the warning of Jesus from Matthew 24/Daniel 9 and flee to the wilderness. The wings of the eagle and flight here refer to the speed with which she flees. There is also connection to being sheltered under the wings of the Lord (for further discussion please see: The Woman Flees to a Place Prepared). I would suggest that this is when Michael stands up (Daniel 12:1), to defend and protect Israel in the wilderness for the duration of the 1260 days of Beast rule. Guys, it makes sense. Michael is Israel’s angelic prince. He’s not relieved of his duties for the worst time of her life. Instead, he gets an extra-special assignment! Verse 14 confirms what verse 6 stated – believing Israel will be securely protected by God in the wilderness throughout the time of “greatest tribulation”. This verse also gives us confirmation that time, times, and half a time is equivalent to 1260 days, when related back to verse 6. Will this be literal water? Possibly, but I don’t think so. I think a more likely explanation might be armed troops, as the same word for water (Strong’s 5204) is used in Revelation 17 to represent many peoples. “Come, I will show you the judgment of the great prostitute who is seated on many waters… And the angel said to me, “The waters that you saw, where the prostitute is seated, are peoples and multitudes and nations and languages.” (Revelation 17:1,15) So the serpent (dragon) could send forth many peoples after Israel, to try to drown her out before she reaches safety. Another possibility for the water that the serpent sends forth might be demonic entities that chase elect Israel as she flees. Why demonic entities? I base this interpretation from a similar description during the 6th Bowl judgment, where impure spirits flow from the mouths of the dragon, beast, and false prophet – “Then I saw three impure spirits that looked like frogs; they came out of the mouth of the dragon, out of the mouth of the beast and out of the mouth of the false prophet. They are demonic spirits that perform signs” (Revelation 16:13-14). Note the similarities of pouring out of the mouths of the serpent versus the unholy trinity (dragon, beast, false prophet). This is not the SAME event, as verse 15 is at the midpoint of the 7 year period, and Bowl 6 is near the very end of the 7 year period. I don’t see why this couldn’t refer to the earth literally opening its mouth, with sinkholes or an earthquake. Whatever this “earth opening its mouth” is, God saves the fleeing Jews from the serpent/dragon/satan in this way. In this chapter, we have already seen the woman (believing Israel) and the Church (gender neutral child/descendant). Who then are the “rest of her offspring”? Here we see the woman’s other offspring (spermatos – gender neutral – Strong’s 4690), that have come after the baby that was snatched up to heaven. Since the woman is securely hiding in the wilderness at this point, these offspring must be the post-rapture gentile followers of Christ – the “tribulation saints”. We find out in Revelation chapter 13 that these saints will be given into satan’s hand. Most will become “tribulation martyrs” during the “greatest tribulation” period – the last half of Daniel’s 70th week. Chapter 13:1 And I saw a beast rising out of the sea, with ten horns and seven heads, with ten diadems on its horns and blasphemous names on its heads… 13:5 And the beast was given a mouth uttering haughty and blasphemous words, and it was allowed to exercise authority for forty-two months. 13:6 It opened its mouth to utter blasphemies against God, blaspheming his name and his dwelling, that is, those who dwell in heaven. 13:7 Also it was allowed to make war on the saints and to conquer them. And authority was given it over every tribe and people and language and nation, 13:8 and all who dwell on earth will worship it, everyone whose name has not been written before the foundation of the world in the book of life of the Lamb who was slain. Throughout the duration of the last half of Daniel’s 7th week (3.5 years, or 1260 days), the antichrist has global rule, blasphemes the one true God and His followers, and slaughters the tribulation saints. He is not allowed to touch the believing remnant of Israel, who is hiding in the wilderness under God’s hand of protection. And thus concludes our study on Revelation chapter 12, with a little sneak peek at chapter 13. I hope I’ve given you some food for thought!